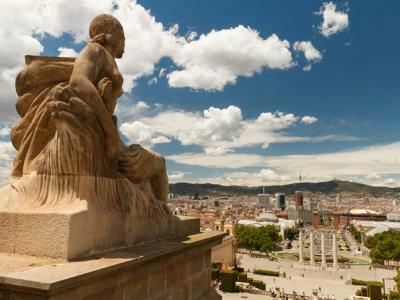 One of Europe’s most accessible cities, Barcelona is a fantastic destination for a disabled-friendly holiday, with lots to see and do for people of all abilities. 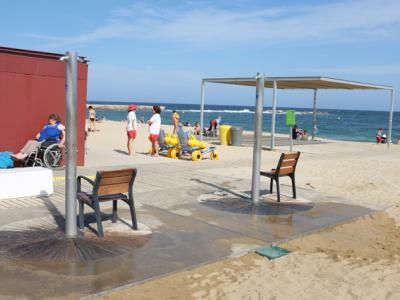 Famous landmarks, shopping streets and beaches are wheelchair friendly, and the city benefits from a highly accessible public transport system, making getting around easy. 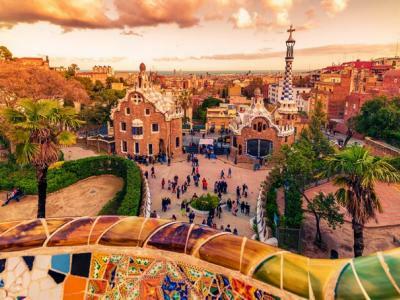 A city with a rich cultural heritage, Barcelona exhibits over 2,000 years of architectural wonders, plus months of beautiful sunshine, sandy shores, exquisite cuisine and a laidback, easygoing atmosphere. Shoppers should first head to Las Ramblas, Barcelona’s most famous walkway. Home to dozens of street cafés, stalls and entertainers, it’s where you’ll find La Boqueria, one of the Continent’s largest markets. 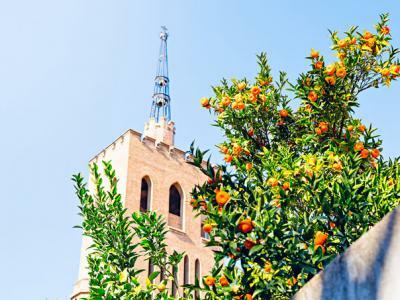 Here you can take in all manner of authentic Catalan sights and smells, such as huge hams, fragrant cheeses, fresh seafood, and oodles of fruit, spices and herbs. Both Las Ramblas and the area around La Boqueria are flat, making them easy to enjoy for people of all mobility requirements. Also accessible is the Port Olímpic marina, with its array of seafood restaurants, bars and clubs, and the Glories shopping centre, a spacious modern mall that’s less crowded than Las Ramblas. The Gothic Quarter in the Old Town is level, too, and largely free of cobblestones. 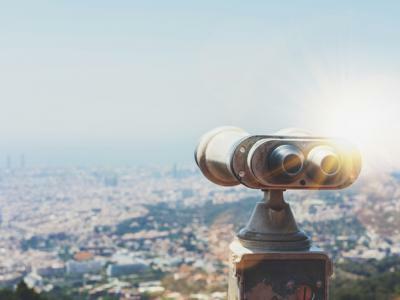 The neighbourhood displays a fusion of buildings dating from Roman times to the 20th century and includes Barcelona Cathedral and the exceptional Picasso Museum among its sights. 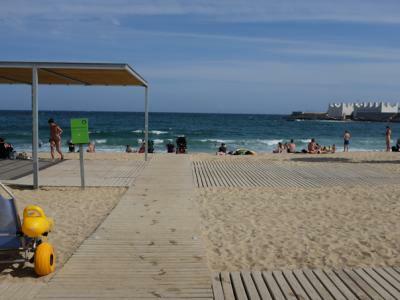 Barcelona also boasts eight accessible sandy beaches, complete with extended wooden platforms, beach wheelchairs and disabled toilet facilities at regular intervals. 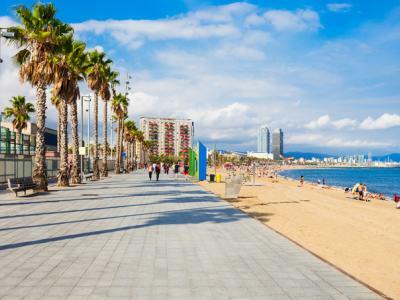 The most popular is Barceloneta, which has ramps down to its sands, and a wide, smooth concrete walkway. Another wooden walkway leads to the water’s edge, and there are accessible changing rooms and toilets, as well as preferential zones for disabled bathers. From June to September an assisted bathing service is available, which helps individuals or groups with limited mobility enjoy the sea with the aid of hoists, amphibious wheelchairs, manual wheelchairs and water crutches. In addition to its beaches and commercial districts, Barcelona has a huge selection of accessible landmarks and attractions. 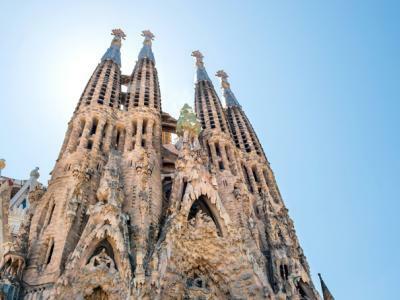 Frequently heading up itineraries are some of the masterworks of Antoni Gaudí, the native Catalan artist who helped define much of the city’s distinctive modern architecture. Three of his best-known achievements are La Sagrada Família, Casa Batlló and Park Güell – all of which have disabled access. La Sagrada Família is Barcelona’s most recognisable sight, a monumental spiring basilica that was Gaudí’s obsession. Still a work in progress, it continually offers something new for returning visitors, millions of whom come every year to admire its magnificent facades, statues and stained-glass windows. Admission is free for visitors with disabilities and their companions. Originally an unattractive townhouse, Casa Batlló was completely remodelled by Gaudí into a brightly coloured, almost otherworldly construction that now enjoys Word Heritage Site status. The Casa provides suitable wheelchairs to use in its lift, and features Braille signage, printed guides for the hearing-impaired and audio guides in English. Park Güell is another site that looks like it came out of the pages of a storybook. 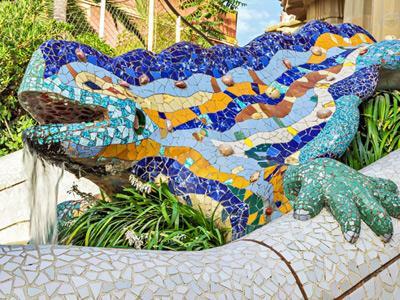 Easily accessible via public transport (the wheelchair-adapted 24 and 92 buses stop directly outside), it has a wheelchair-accessible route that allows visitors to behold the best of Gaudí’s work. Also worthy of special mention is the Picasso Museum. Housed in five contiguous medieval mansions, it features over 4,000 works relating to the famous artist, with a particular emphasis on his formative years. The museum is completely accessible, with wheelchairs available for those who require them. 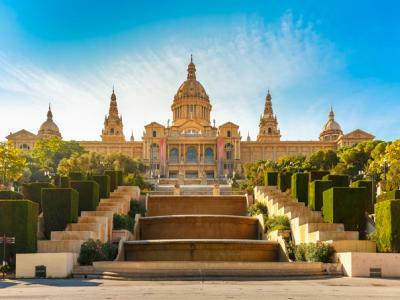 Other accessible attractions include: the Joan Miró museum, the Catalan National Art Museum (MNAC), the Contemporary Art Museum of Barcelona (MACBA), Palau Güell, the CosmoCaixa science museum, the Botanic Gardens, the Barcelona Aquarium, Casa de les Punxes, the Maritime Museum, Santa Maria del Mar basilica and more. Barcelona is one of just a few cities in which 100 percent of the buses are wheelchair accessible. The vast majority of metro stations also have wheelchair access, and adapted taxis are available for hire. In addition Barcelona’s tram network has low-floor access from the platforms and ramps to the doors, as well as areas reserved for wheelchair users. 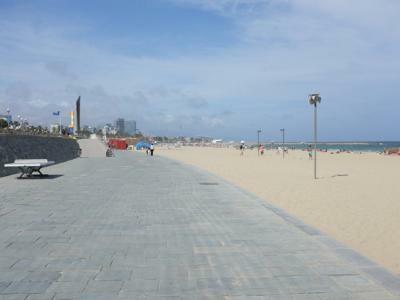 Streets feature dropped kerbs, tactile paving and flashing and audible crossings, while the promenades along the beach and marinas are wide and flat. City sightseeing bus tours are widely available and accessible, with concessions sometimes offered to disabled travellers. Accessible walking tours that take in many of the top sights are also available. We can book accessible transfers for your holiday to Barcelona. This means you will be met at the airport terminal and escorted to your destination in a comfortable, safe and fully accessible adapted vehicle – without delays or queues. Modern accessible vehicles are driven by chauffeurs trained to work with wheelchair users and are adapted to international standards and fitted with the latest safety devices. With 80 vehicles available in the fleet, it’s a very flexible service that can accommodate large groups as well as individual travellers. 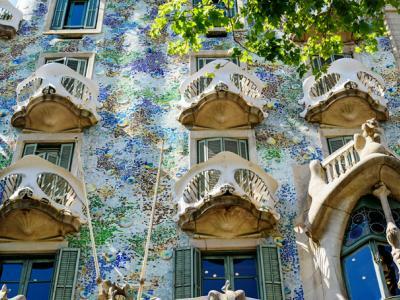 What's available with our disabled holidays in Barcelona? Please note: The information we provide on accessible locations and local attractions is subject to change, specific accessibility requirements and availability. We do our utmost to ensure all information is as up to date as possible based on the information we receive. An elegant hotel situated in the heart of the iconic Eixample district, close to many of the city’s best shopping districts and historical sites. The hotel located in one of the best areas of the city, the Gothic Quarter of Barcelona, ​​near the area hotel very close to the terminal also will keep you in touch with the latest, modern bohemian Barcelona. Ayre Hotel Caspe Barcelona is a newly-constructed hotel combining avant-garde design with a functional style in all its facilities. These amazing fully adapted apartments can include comprehensive services for disabled or dependent people. A pleasant hotel located in the hotel zone of Malgrat de Mar, just 250m from the beach and the shpping area. Whether you are looking for a well-deserved family vacation or a weekend getaway for a little adventure, total relaxation or romance, Barcelona Princess Hotel will offer you a truly wonderful and memorable experience. Located in the heart of Barcelona, next to the Ramblas and the Barri Gotic (the Old Town), close to the cathedral, the Palau de la Generalitat and City Hall. Central hotel situated in the heart of the city opposite the cathedral. 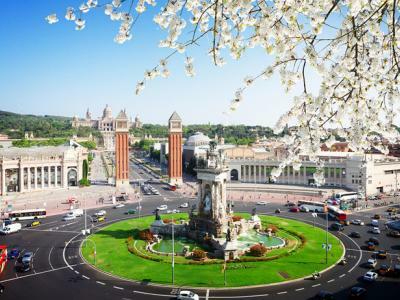 The city’s main cultural sites are within 5 minutes walk, including Ramblas, Plaza Catalunya. Recently refurbished (2002), this traditional hotel has been decorated in a modern style and has a pleasant atmosphere. This property is highly recommended due to its prime location and the high standards. The hotel is located in one of the newly growing places of Barcelona, in the triangle formed by the Forum, the Olympic Port of Barcelona and the Glorias square. The hotel is a friendly 4-star property offering comfortable accommodation in the heart of Barcelona. With a stay at this modern hotel you'll be convenient to Torre Agbar and Sagrada Familia.